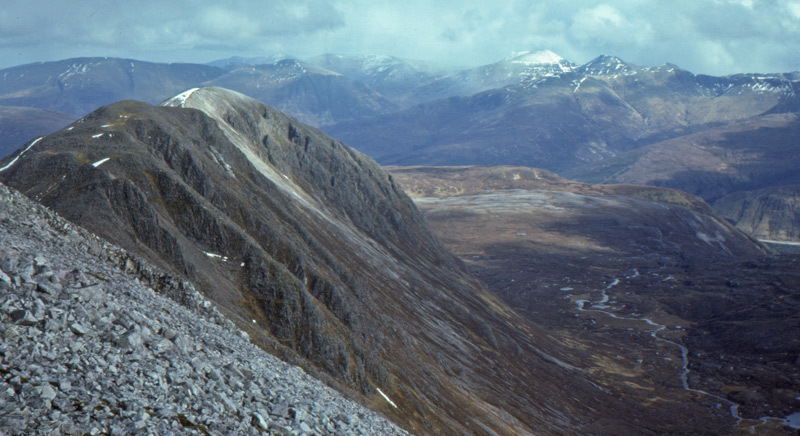 The ridge of Beinn Liath Mhor with snow-capped Sgurr na Chaorachain; April 1976. 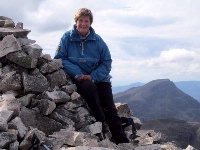 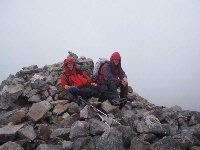 The quartzite summit of Beinn Liath Mhor at the western end of the ridge. 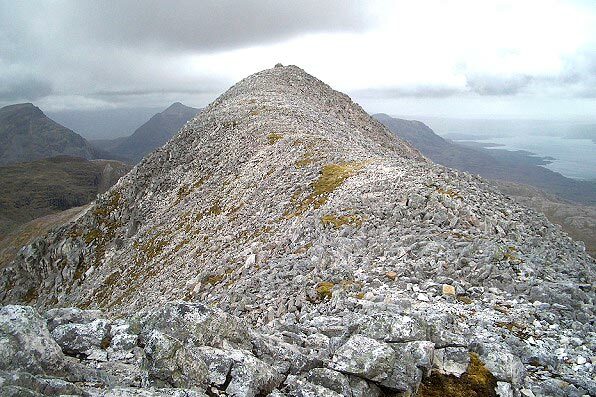 Maol Chean-Dearg is seen on the left, with Loch Torridon on the right. 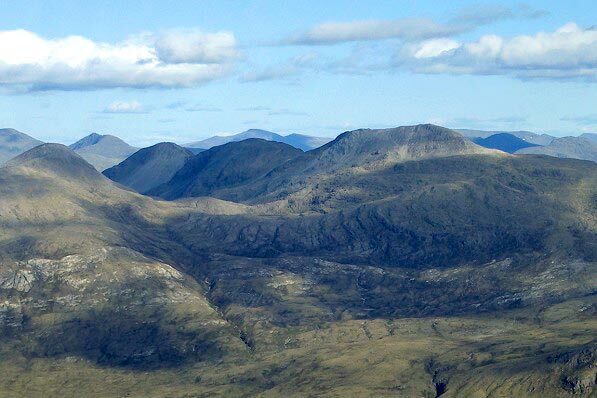 The 3 tops of Beinn Liath Mhor seen on a fabulously clear day from Mullach an Rathain. 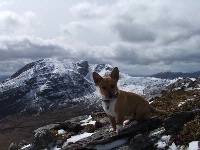 Sgurr na Lapaich is seen immediately above the centre top, and Sgurr Choinnich and Sgurr a Chaorachain appear almost in line to left of the east top. 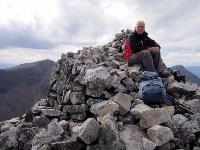 Looking south-west along Moine Mhor to the 3 tops of Beinn Liath Mhor lit by late evening sunlight. 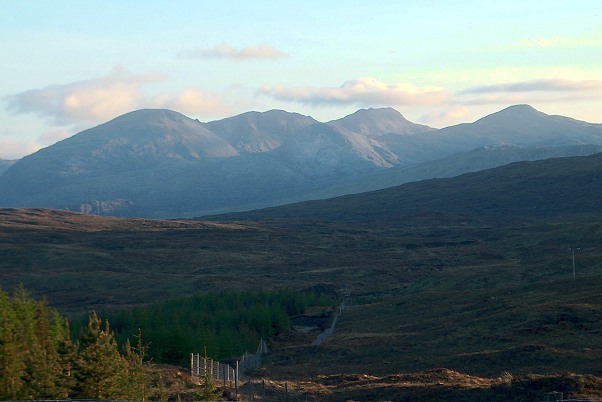 Taken from the Achnasheen-Kinlochewe road.